Our Dr. Harpold stays closely connected to and works in the world of research, not only Down syndrome and Alzheimer’s disease, but also relevant research endeavors at a broad scale. Here’s his take on the Federal 2016 Omnibus Budget Bill. The just enacted Federal 2016 Omnibus Budget Bill, which includes a $2 billion increase for NIH, represents significantly good news for advancing biomedical research including Down syndrome research. Over approximately the past decade, the budget for NIH has remained essentially flat, translating to a more than 25% decline in actual NIH “research-buying” power. This has made securing funding for NIH research grants by researchers extremely difficult and, closer to home, created significant challenges in gaining increased NIH funding dedicated to Down syndrome research. This newly enacted increase in NIH funding will enable funding for more NIH grants as well as significantly increased funding to address Alzheimer’s disease… all potentially good news for Down syndrome research. In addition to work focused on NIH funding for Down syndrome throughout this year, LuMind RDS contributed to a recent final push for this increased funding, especially Alzheimer’s disease research, through our continuing membership and work together with Leaders Engaged in Alzheimer’s Disease leveraging together 80 member organizations, as a signatory on advocacy letters, which also specifically included Down syndrome reference, to the respective US House and Senate Appropriations committees’ leadership. Food and Drug Administration (FDA) funding will increase 5%, roughly $90-100 million more than House and Senate appropriators passed earlier this year. Thank you for the momentum you’ve helped to create to bring the importance of increasing funding for all types of research to the attention of the government. Please consider continuing to show your support for Down syndrome research with a donation during our Annual Appeal. This entry was posted in Blog, Ds / Alzheimer's Connection, Ds Government News, News and tagged Alzheimer's disease, Center for Disease Control, dementia, Down syndrome, Down syndrome research, Federal 2016 Omnibus Budget Bill, Federal Budget, House Appropriations Committee, LEAD Coalition, Leaders Engaged in Alzheimer's Disease, National Institutes of Health, National Institutes on Aging, NIH, Senate Appropriations Committee on December 24, 2015 by LuMind RDS Foundation's plus15 Blog. LuMind Research Down Syndrome Foundation applauds the development and announcement by the Clinton presidential campaign of a formal plan for new investment to prevent, treat, and make an Alzheimer’s disease cure possible by 2025, which includes a commitment to reach the $2 billion annual funding level for NIH’s dementia research. You can read more details on Clinton’s announced plan in the following article. We join with many of our other colleagues and partners in the Down syndrome and Alzheimer’s disease communities in encouraging all of the presidential campaigns to develop and support formal proposals for advancing Alzheimer’s disease and dementia research. This research is especially important for individuals with Down syndrome since virtually all develop the brain characteristics of Alzheimer’s disease earlier, by their 40’s, and the majority subsequently progress to earlier onset of the associated dementia. In November, NIH announced significant new grant awards to find Alzheimer’s biomarkers in Down syndrome. LuMind RDS is the leading source of private funding for Down syndrome cognition research, including funding initiatives to identify and develop effective new therapies to prevent and halt the progression of the earlier onset Alzheimer’s disease in people with Down syndrome and help avoid the loss of gains they achieve throughout their lives. If you would like to support this research, please consider a donation during our Annual Appeal. This entry was posted in Blog, Ds / Alzheimer's Connection, News and tagged Alzheimer's disease, Alzheimer’s neuropathology, dementia, Down syndrome, Down syndrome research, National Institutes of Health, NIH on December 23, 2015 by LuMind RDS Foundation's plus15 Blog. Might Normalizing Brain Development Help in Down’s Syndrome? LuMind Research Down Syndrome Foundation’s Chief Scientific Officer Dr. Michael Harpold was referenced in a discussion from the Society for Neuroscience Annual Meeting. The article discusses if the cognitive impairments associated with Down syndrome could be prevented. Dr. Harpold was mentioned along with others from Tufts Medical in Boston, Univeristy of Bologna in Italy and Institute for Basic Research’s Genetics Laboratory. This entry was posted in Blog, Ds / Alzheimer's Connection, Ds Research News and tagged Down syndrome, Down syndrome research, Dr. Michael Harpold on November 5, 2015 by LuMind RDS Foundation's plus15 Blog. 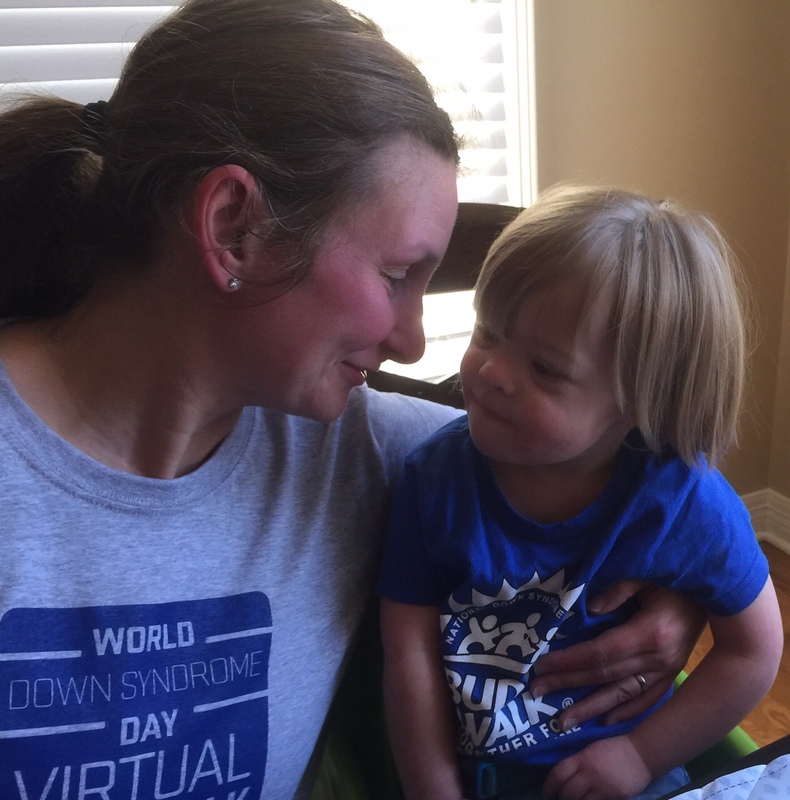 By Beth Gard Beth Gard is wife to Alan and mom to Gabe, Alijah, and Dalaney and leads Medical Outreach for the Down Syndrome Alliance of the Midlands. She is also Alan Gard’s caddie as he completes the Hundred Hole Hike to benefit LuMind RDS Foundation and Down syndrome cognition research. As a parent of a child with special needs it’s hard not to think about your child’s future. 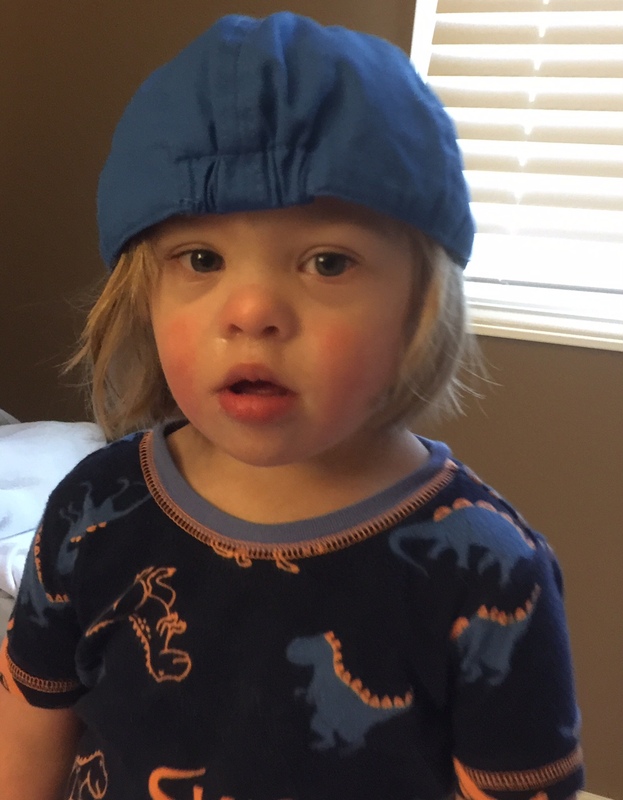 When we first found out that Alijah had Down syndrome we were worried about everything, but we were particularly concerned about his future. From day one we were committed to giving him everything he needed and to make sure we had the same expectations for him that we had for Gabe. We want him to go to school, to go to college, to fall in love and most of all to lead a fulfilling life. But, for all of these milestones to occur for Alijah we need to advocate for him in all areas of his life. I do tend to focus on Alijah’s future probably more than I do on my other children’s futures. Since Alijah was three months old my main concern has been about school. Anyone close to me will tell you that I feel extreme stress when I think about school. It doesn’t matter if it is preschool or elementary school. I feel sick at times trying to make sure that we make the right decisions for Alijah. But in April, I attended one of our local Down syndrome organizations’ educational presentations by Dr. William Mobley, a neuroscientist from the University of California San Diego, a LuMind RDS funded researcher. Dr. Mobley came to speak to us about the links between Down syndrome and Alzheimer’s disease. He began by providing evidence that the brains of people with DS don’t function like those of typical people. This information wasn’t surprising since I see this everyday when Alijah is processing information or responds to requests and directions. Dr. Mobley also provided us with the evidence that the plaques that are characteristic of Alzheimer’s begin to develop at age 40 in individuals with DS. I also knew this, however, hearing it and seeing the data hit me hard. Maybe it was because I was a month away from turning 41. Maybe it was because it was a long day with Alijah and Dalaney (as most days are right now). Maybe it was a combination of a lot of things. I thought, “I’m 40 and for the most part I still feel like I am in my 20s. I tend to forget things from time to time, but who doesn’t?” I started to wonder what Alijah will feel like when he is my age. What will his cognitive level be at 40? And then the thoughts and scenarios started to snowball as they tend to do when something negative pops into my head. Then I started to think about who is going to take care of Alijah when he starts to experience this decline? God willing, I’ll still be on earth, however I will also be nearing 80. I discussed this with a friend and she joked we would both be in the old folks home, demented together. I laughed because I saw some humor in it (sometimes you just have to find the humor in even the most sad situations). Unfortunately, despite the jokes and lightheartedness that can be made of situations, this could happen. These thoughts have never occurred to me when I think about Gabe and our youngest child, Dalaney, when they reach 40. I assume Gabe and Dalaney will be in the prime of their lives established in their careers, possibly married and/or raising children, hopefully happy and healthy. I wish sometimes these thoughts about Alijah would never come to me. I wish I had blinders on to the reality of what life could be for Alijah as things stand now. I don’t want to imagine my son who is smart, fun, stubborn and nothing short of happy even when he is having what is his worst day not living a fulfilling life once he reaches middle age. The need for cognition research in individuals with DS is so important, not only to help improve their memory and learning ability while they are young, but also to develop drugs to help delay or even cure Alzheimer’s. Even though DS is one of the most common genetic conditions, it is one of the least funded for research. Organizations such as LuMind RDS and others are paving the way to raise funds for research and awareness that DS research is not only a necessity for the DS population, but the general population as well. As Alan embarks on his third hike I hope that you will consider donating to his team in the Hundred Hole Hike or perhaps start your own team and raise funds for research. Our cause isn’t just about raising awareness it’s about advocating for people with DS to make sure that research is being done to improve their cognitive quality of life. I look forward to the possibilities that cognitive research advances can offer to Alijah and others with DS to help them achieve their goals and to lead fulfilling lives. I am anxious to hear what Alijah wants to be when he grows up and helping him live out his dreams! – Stephanie Hartman shared this story at our inaugural Sky’s the Limit Awards Gala where we honored Dr. Jamie Edgin, Dr. William Mobley, Sarah Wernikoff and Jim and Patty White. Thank you, Stephanie, for supporting LuMind RDS Foundation and for sharing your personal reasons for supporting Down syndrome cognition research. Even from a young age, I knew that I was meant to be a mother. I could see through the experience of others and particularly with the closeness within my family growing up, that good parenting is hard work, but immeasurably rewarding and the most important job to be done. I became pregnant just before turning 34. My husband Ryan and I learned that our baby boy had heart issues that would require heart surgery in early childhood. We were told that these heart issues were commonly found in children born with Down syndrome, so that was a possibility for our son. For many reasons, including this, my doctor strongly encouraged that I get an amniocentesis. At that time, it was the only method to determine genetic variances with any certainty. I was informed that conducting the amniocentesis itself presented a slight risk to my baby. The information would have been helpful for preparation. However, I was unwilling to take the risk. I viewed this differently than other choices that just affected me. This was a tiny unborn person who only had me to count on to keep him safe and healthy. Also, due to strongly held personal beliefs, I knew that regardless of the results of any test, I was going to give birth to and care for and unconditionally love any child growing inside my body. In utero, the doctors took measurements of my son’s head, torso, arms and legs. We were told that that our child’s proportions seemed typical and didn’t indicate Down syndrome. That was enough for us to believe what we thought was ‘’best case” scenario, where our child would have the certain heart defects and require surgery but would otherwise be typical. So we put our heads in the sand and continued our dreams for the future of our family. Not long after midnight on February 26, 2008, at University Medical Center in Tucson, Taylor Glen Hartman was born. He was tiny, under six pounds….not the nine pounds that had been predicted. Many things were not as predicted. Soon after the umbilical cord was cut, I could hear the people in the room whispering to each other. I had never had a baby before but I could tell that something was not right. UMC is a teaching hospital, so the room was filled with interns and residents. After cleaning the baby, one of the doctors explained that our son had features consistent with Down syndrome. What a strange experience. We shouldn’t have been, but we were stunned. I was trying to simultaneously process this information that would change the course of my life and manage the political correctness of my reaction, given the room full of strangers witnessing this very personal moment. The hours and days that followed were the most confusing and challenging I had ever experienced. The instant and beautiful bond between mother and child shown in the movies was not my experience. I understood though that this tiny gift from God in unexpected wrapping needed me. So through the tears, I snuggled him, I sang to him and I nursed him like our lives and our relationship depended on it. It did. Meanwhile, Ryan left the hospital. It seemed like he was never coming back. He finally returned with a gift of tulips and a story about a trip to Holland. He also had information. While I was contemplating how to best support the social and educational components of the future advocacy of our child, Ryan gained comfort, strength and direction, reading the work of Dr. Mobley and others. He quickly absorbed so much about Down syndrome, the details of recent advances, and research underway that would maximize our son’s intellectual capabilities. Thank goodness for Taylor, he has both of us. My narrow focus on advocacy for acceptance and inclusion would have prevented me from even considering medical cognitive interventions. I feared that in so doing, I was in someway rejecting Taylor or trying to cure his Down syndrome like a sickness. be as independent as possible. Isn’t that what any loving parent wants for his or her child? If Ryan hadn’t come across the valuable work funded by the LuMind Research Down Syndrome Foundation, we may have focused our attention on advocacy, at the exclusion of research. Taylor would grow to the age that I am today and suffer from the cognitive degeneration that occurs in Alzheimer’s. If later I learned that I could have taken simple actions today to prevent such an onset, I would never forgive myself. LuMind Research Down Syndrome Foundation is funding research that is very real, tangible, and applicable sooner than later – for children and adults with Down syndrome. Dr. Jamie Edgin’s sleep and cognition studies provide insight and possible solutions to the sleep-related issues faced by many people with Down syndrome – and their parents! Dr. William Mobley and others are working to help Taylor and others living with Down syndrome to retain the cognitive gains they’ve made through their lives. And thanks to the recent revelation of the connection between Down syndrome and Alzheimer’s, both communities can benefit from the research synergy. I know there are many causes looking for answers from research, but unlike federal funding for conditions such as Cystic Fibrosis at over $2500 per affected person, Down syndrome research only receives $60 per person from the National Institutes of Health. Thanks to the vision of people like Jim and Patty White and the dedicated volunteers, like Sarah Wernikoff, who have supported private funding for cognition research, there have been many recent amazing breakthroughs. But, we still have so much more work to do. There is fantastic, groundbreaking research waiting to be conducted by these and other distinguished researchers and rising stars. The only barrier today is lack of funding. Now more than ever I believe that good parenting is the most important job to be done. I urge you to be as generous as possible to help ignite new discoveries and propel this important research forward. Please join me in one of the most important jobs we can have as parents – supporting the futures of our loved ones with Down syndrome by funding these research advances. The Sky’s the Limit for Down Syndrome Research! Almost 100 people enjoyed the events during our “Sky’s the Limit” Awards weekend – a VIP reception, a research presentation by Dr. Harpold, Dr. Mobley, and Dr. Edgin, and of course, the inaugural Awards Gala on Saturday night. Please enjoy our staff’s casual and candid photos of the Awards gala. We will have more photos and stories to share throughout the week. Thank you to everyone who participated, planned, or supported the event. A special thank you to photographer Pavel Verbovski for capturing all the wonderful moments from the event. For those wishing to view and purchase professional images from the Gala, please visit the photographer’s website. There’s still time to show your support with a donation in honor or one of our honorees – Dr. William Mobley, Dr. Jamie Edgin, Sarah Wernikoff, and Jim and Patty White. Select “Sky’s the Limit” when you make a donation and support our inaugural honorees. This entry was posted in Blog and tagged Awards gala, Cognition Research, Down syndrome, Dr. Jamie Edgin, Dr. Michael Harpold, Dr. William Mobley, fundraiser, Skys the Limit on May 6, 2015 by LuMind RDS Foundation's plus15 Blog. Lottery registration for the Oct. 11 Bank of America Chicago Marathon, one of the world’s premier running events, ends on Tuesday, April 21. LuMind Research Down Syndrome has charity entries. More than 40,000 participants run from Grant Park, through the Loop, Old Town, Wrigleyville, Lincoln Park, through Little Italy, Chinatown, and Bronzeville, before ending up again in Grant Park. It is a flat course, cheering crowds line every mile, and the post race dining/partying opportunities and atmosphere are second to none. Don’t take any chances… sign up with LuMind RDS Runners now. Reach us at rdsrunners@researchds.org for more information. LuMind RDS Runners is the nation’s charity running program that has raised hundreds of thousands of dollars to support Down syndrome cognition research. Share this with anyone who has said: “Some day, I want to run the Chicago Marathon,” or who has said, “What can I do to support research that has the potential to identify therapies that will enhance life opportunities for persons with Down syndrome?” Let’s do this. 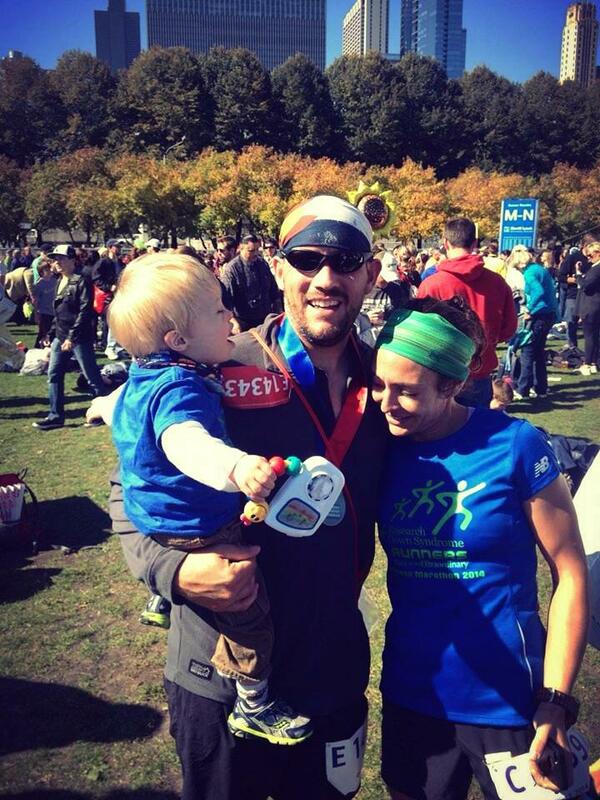 This entry was posted in Blog, Events and tagged Chicago Marathon, Down syndrome, RDS Runners on April 17, 2015 by LuMind RDS Foundation's plus15 Blog.